Welcome to Whistle Hill Puppies! Thank you for visiting our website! We are an ethical breeder striving to raise exceptional quality puppies. We absolutely adore the dogs we have and are excited to be able to share our passion for these awesome breeds. We genuinely enjoy every part of the breeding process, from studying pedigrees and pairing the best dogs, to caring for our expectant mothers, welcoming each puppy, to raising our puppies and placing them in wonderful homes. 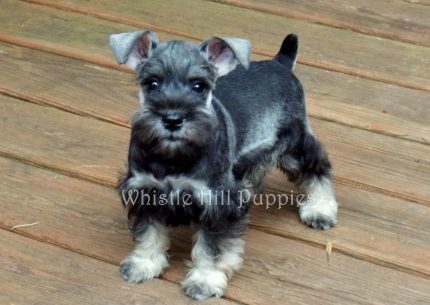 At Whistle Hill Puppies it is our priority to breed only quality, healthy, and hardy puppies. Supporting our clients through and beyond the adoptions process is very important to us. When you go home with one of our puppies, we want you to be completely satisfied with them. Adopting a puppy is an exciting time! We are committed and devoted to giving your family a top quality, beautiful companion. All of the puppies we breed are covered by an extended 5 year genetic health guarantee. We take all of the necessary steps to ensure the pet you adopt is free of genetic defects or illness and stand behind our puppies into adulthood. We are committed and devoted to providing top quality, beautiful companions. Adopting a puppy is a big responsibility but we also want it to be an exciting time! Our daughter, Kate, is a freshman in college. 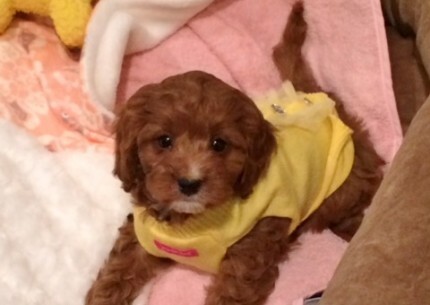 She researched for sometime and decided that a Cavapoo was the right choice for her. 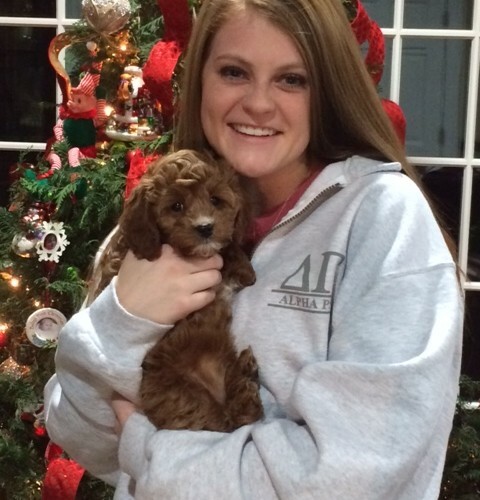 We had planned on waiting until her sophomore year to buy her a dog, but her roommate moved back home. Kate didn’t want to live alone. 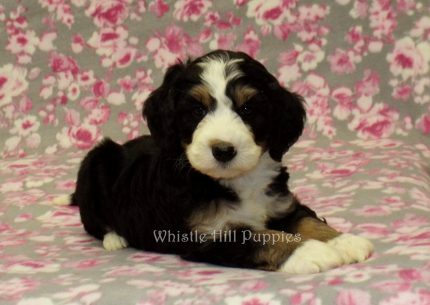 So, after much searching we decided to buy this sweet girl for Kate for Christmas. John and Rachel Zook were very helpful and breed healthy, beautiful dogs. Whistle Hill Puppies made Delilah’s delivery from Pennsylvania to Mississippi easy. 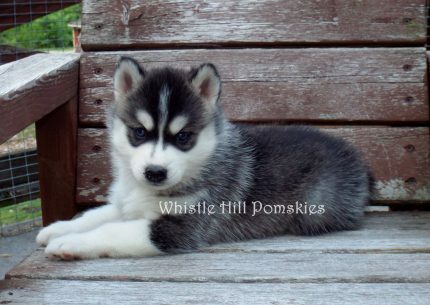 We would highly recommend Whistle Hill Puppies and purchasing a dog from the Zooks.